When pipes freeze, it instantly becomes a problem. Repairs can be very expensive if you hire a professional plumber. 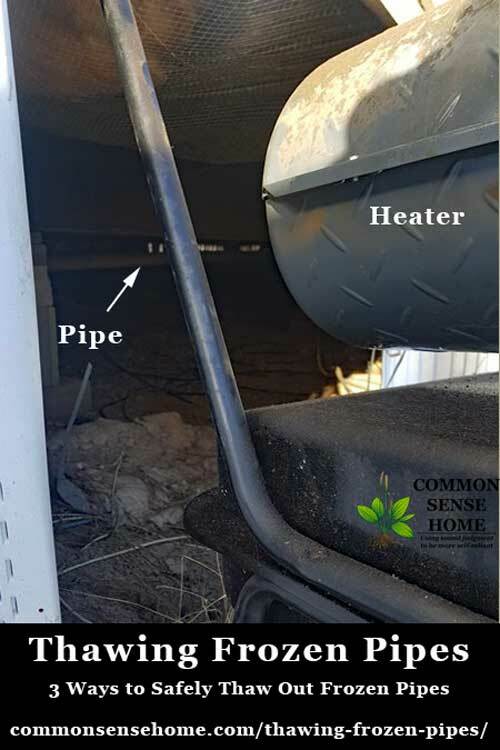 Also, if your pipes are frozen because of an atypical weather event (extreme cold of a polar vortex), it's likely a lot of other people will be having similar problems. It could be days before the plumber can get to you. 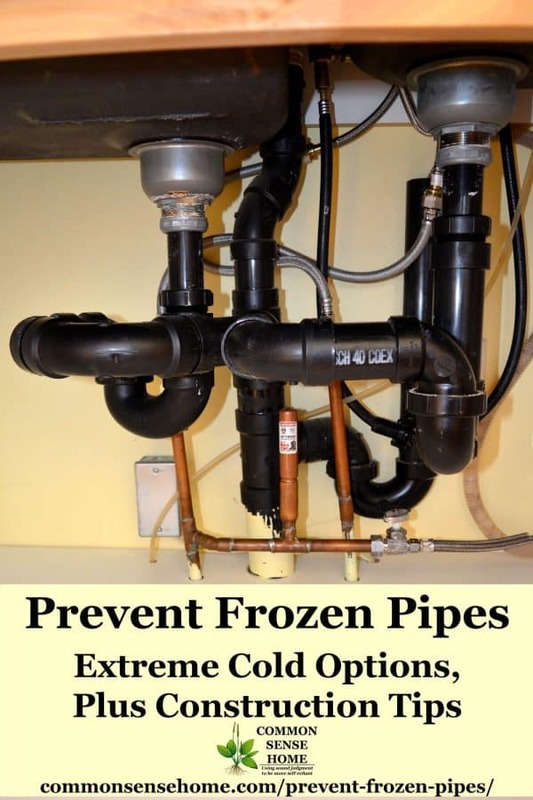 In this post, we'll cover three options for thawing frozen pipes safely, plus tips for frozen drain pipes, emergency repairs and avoiding frozen pipes. 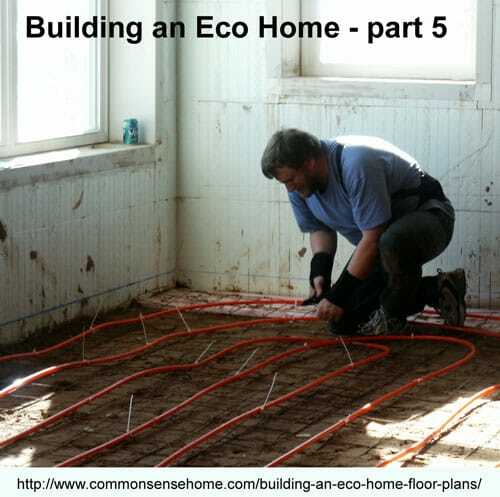 For those of you who are new to our “eco-home”, let me provide a brief overview of progress to date. Our goal at the start of this project was to build a home that conserved energy and resources, was accessible for family and friends with physical limitations, and had enough acreage that we could fully pursue our interests in organic gardening, orcharding, heirloom plants and livestock and other outdoor pursuits.